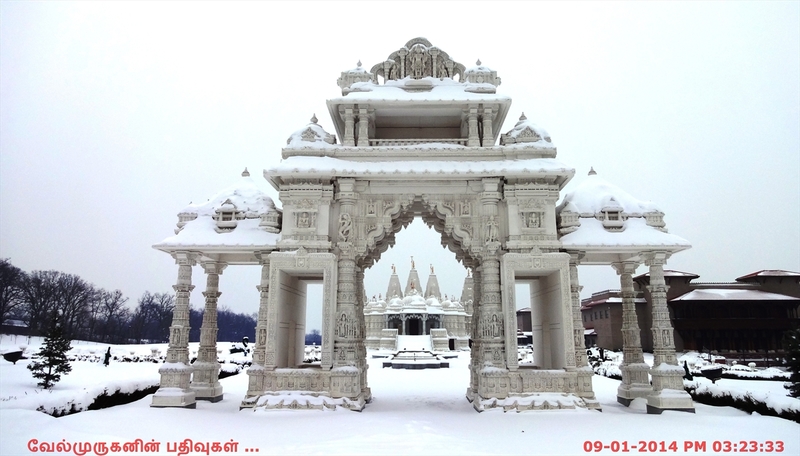 The BAPS Shri Swaminarayan Mandir Complex in Bartlett, IL has become the focus of interest and wonder for thousands of local citizens and people visiting Chicagoland. 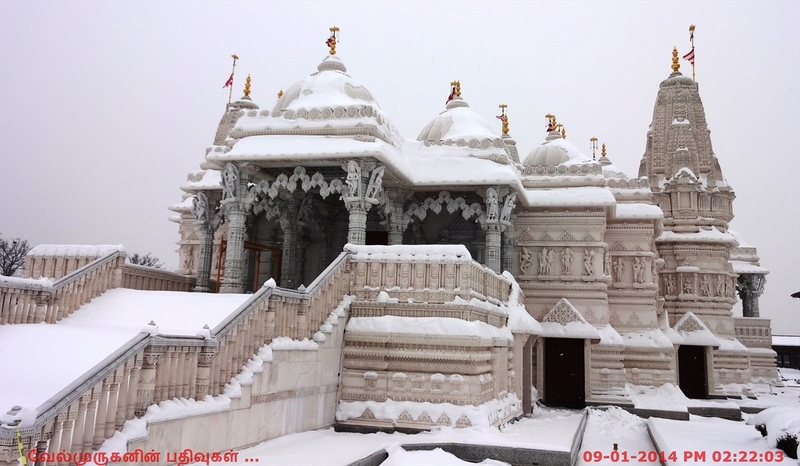 The fusion of traditional Indian architecture with modern technology has attracted people from all walks of life; from visiting school groups to architects, all have been marveled by the Mandir’s stunning architecture and breathtaking artistry. 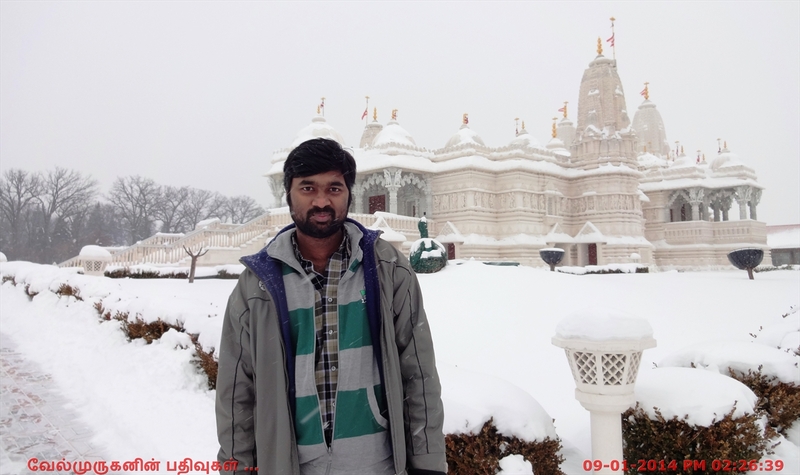 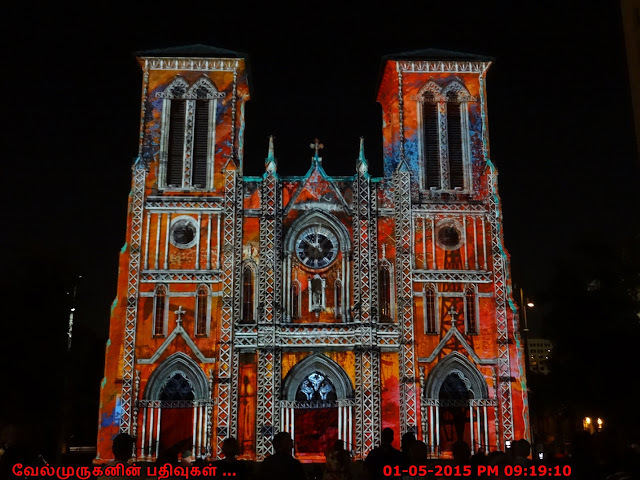 The story of the Mandir’s creation is epic in proportions and logistics. 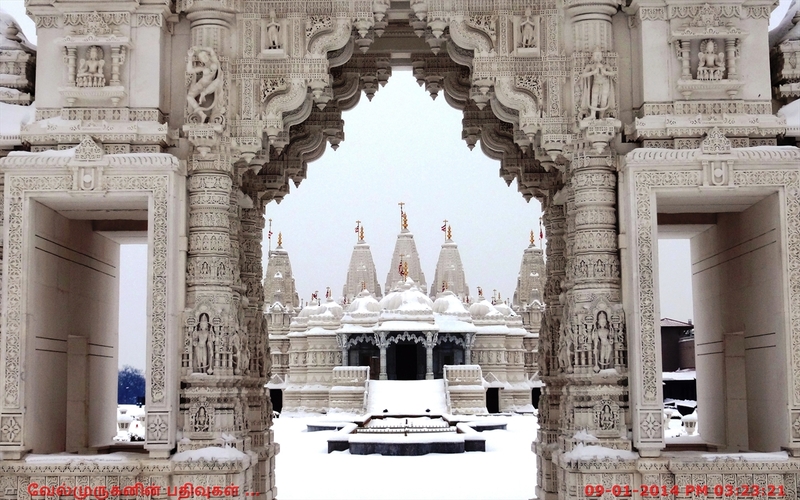 Over 1,700 volunteers from the Chicagoland area, and many more from over 3 continents, contributed their expertise during the construction of this edifice. 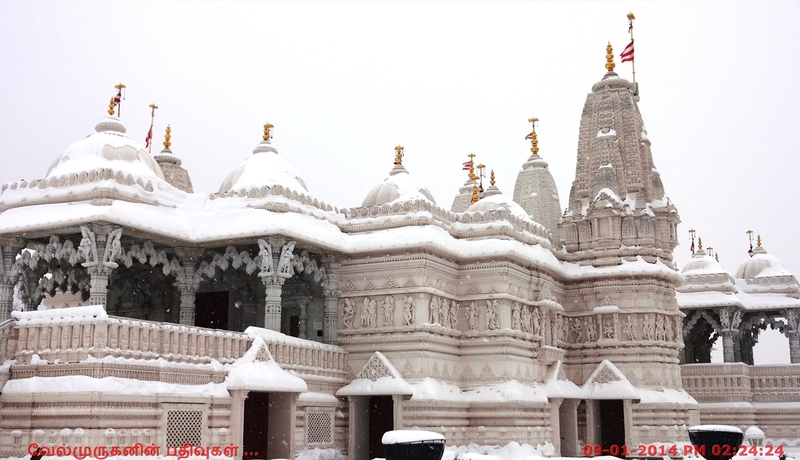 Built according to the ancient canons of Hindu architecture, known as the Shilpa-Shastras, the Mandir exemplifies a system of construction that has been proven to withstand the tests of time, thus providing a place that will continue to generate memories and experiences for posterity. 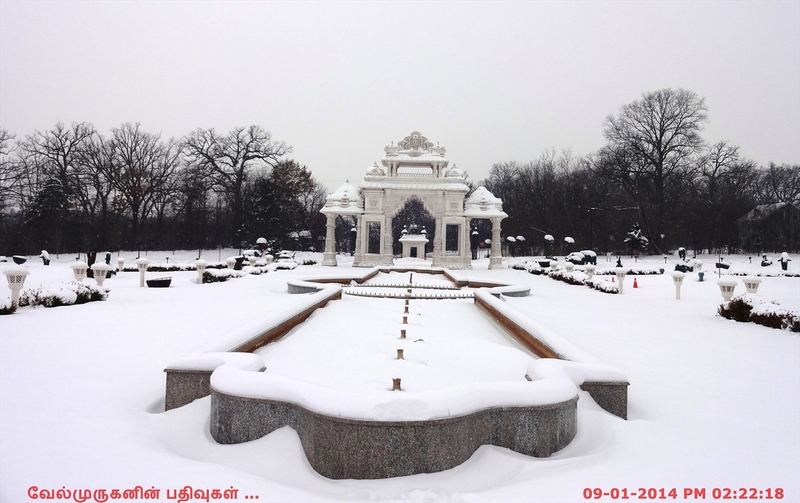 Using premium Italian Carrara marble, Indian Makrana marble, and the finest Turkish limestone, it was hand-carved into 40,000 pieces by skilled craftsmen in India. 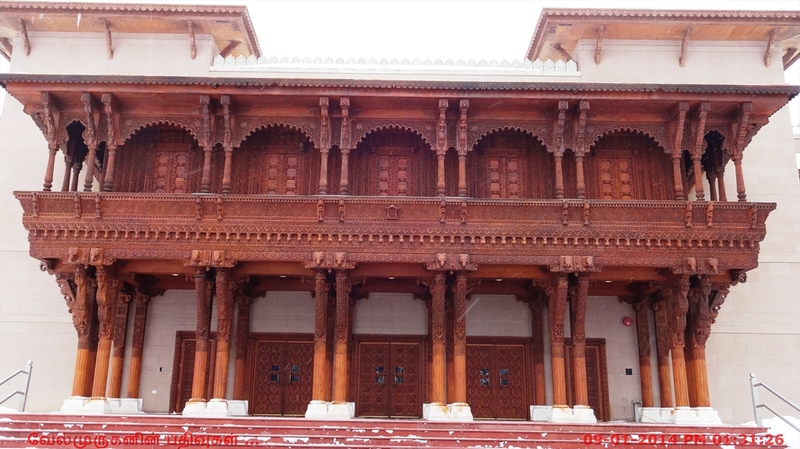 Ancient Indian heritage and traditions have been encompassed in this place of worship that has revived India’s culture through its beautiful architecture. 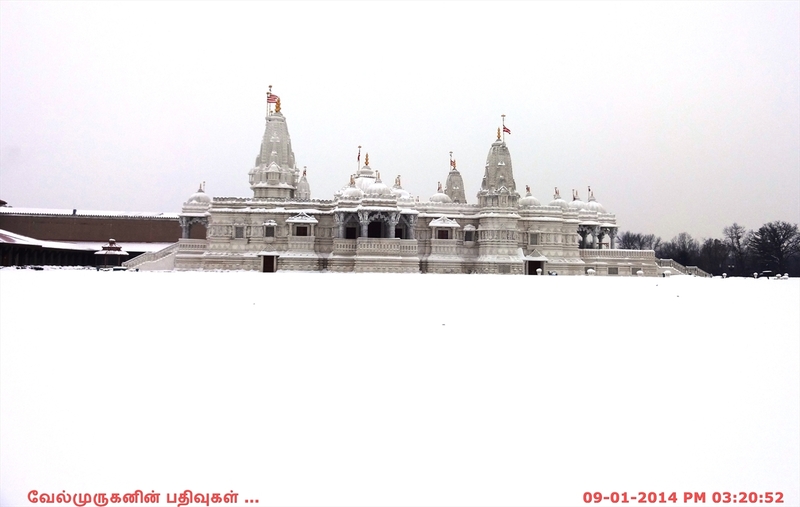 I had a chance to visit this temple on a heavy snow day, Here i posted the few photos and video i took there.